Pleased and honored to welcome you on the website of Masdar Building Materials. This portal was developed to be the official social communication channel with all of you, customers and partners in success and to also convey to your good selves our objectives and strategies in supporting your entity to be always at the forefront position, to become the leader in its domain, as well as to contribute in boosting the economical cycle basically in the field of constructions and contracting within the Saudi Market. Our strategic vision within Al Muhaidib group was formed by establishing Masdar Building Materials and its affiliate companies, to take its leading position in retail and wholesale trade in the contracting and construction sphere. This vision was crystallized by clubbing Al Muhaidib Group of Companies who are involved in the field of contracting and construction under one umbrella and call it Masdar Building Materials, as to be by Allah’s blessings the capable arm to fulfill the Saudi Market needs to supply and provide for various building materials with effective and efficient manners. 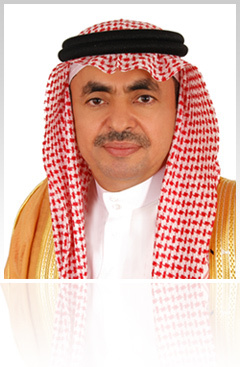 Praise be to Allah, our dream is fulfilled by setting up this organization, as we invested in it all of our experiences in this field, that lasted for long decades complying with our strategies aiming to establish a comprehensive and universal entity which is able to grow by getting its strength from a vast experience in the Saudi Markets and capitalizing on strong position of our country’s solid economy. Currently, Masdar Building Materials under its umbrella has a group of companies that is working in the domain of retail and wholesale of building materials, the names of the affiliates are “Masdar Hardware Trading Company, Masdar Technical Supplies, Masdar Technical Services Company, Abdul Wahab Kutbi& Brothers Company, International Timber Company. The success achieved within Masdar and its affiliates was by the blessings of Allah and then to the collaborated efforts of its employees, as well as the strong relationships that are established with our clients and partners in this success. These relationships have blossomed primarily from our commercial principles and values that are based on decency and loyalty in providing high quality products in competitive rates. 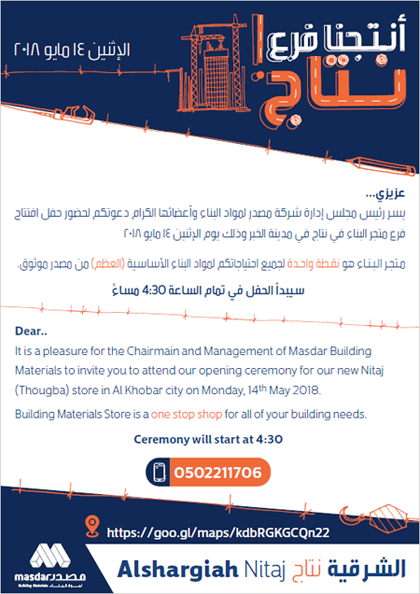 In order to keep abreast with the current & future requirements and with a universal vision for the building materials market, we have recently launched our new identity Masdar Building Materials with a new design & modernized concept which reflects the company’s responsibility towards its clients. We do look forward to serving our clientele around the country with the same zeal and sentiments. Our major priorities in Masdar is to build a human resources element, that is capable to respond with full fledge services to our clients. We have also paid special attention to the development and training of national elements to undertake the leadership in our business, as Masdar with its affiliate companies was able to nationalize good percentage of its jobs, and working hard to elevate those ratios, in a way that benefits our country’s economics in general. We are focused on putting as much efforts as possible in expanding our major activities, develop our companies businesses in the field of retail and wholesale within the building materials. We also aim to present all possible opportunities that can help in developing and growing our company eventually which will reflect on our society on the economical and the social front. Personally and on behalf of the board of directors, I would like to take this opportunity to express my sincere gratitude and appreciation to the Custodian of the Two holy Mosques His Majesty King Abdullah Bin Abdulaziz, and the rational government for their unlimited support, extreme trust in the business sectors, that we are proud of, and keep promising to respect and maintain.